This post is still work in progress. It is the basis of a conference presentation I am planning for NDC2015. With the ever increasing complexity of software the need to use development practices like TDD is becoming more and more important. Embedded software development presents an extra set of challenges when practicing TDD. Hardware is often still in development, expensive or has limited availability. Deploying to the target device takes a long time. The target device has limited program space and RAM. For these reasons testing of embedded software is often performed manually (if at all). There are a large number of papers and articles that focus on TDD for systems without the added complexities of working in an embedded environment. We’ve been developing embedded software using TDD (and a variety of other Agile techniques) for the past 6 years. This paper presents some of the patterns and practices that help us deal with some of the extra complications incurred when practicing TDD in an embedded environment. It covers how we keep the feedback from our tests fast while still running tests on the target hardware. How we mock out dependencies and discusses the advantages and disadvantages to the techniques shown. 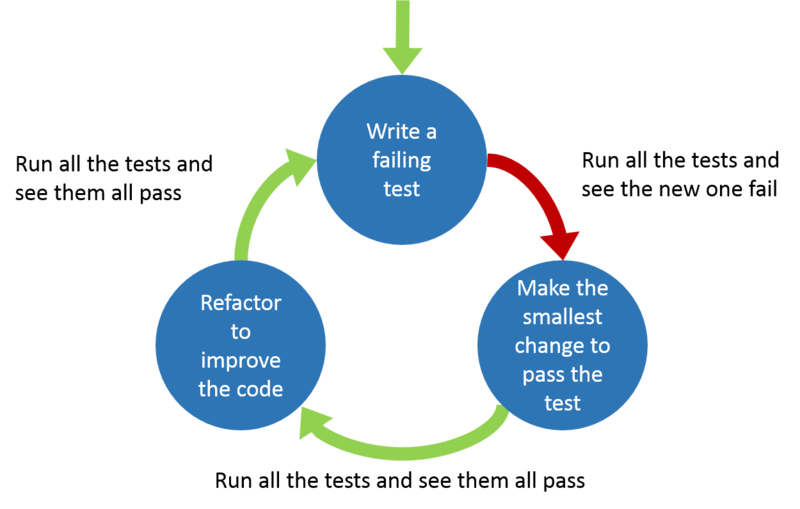 TDD tests should be developed FIRST. Fast – The tests should be fast to execute. Both fast to execute individual tests and fast for the overall test run. Independent/Isolated – The tests should not fail because of external factors. The test does not depend on other tests, they can run in any order. Repeatable – Tests must return the same result every time they run, they should not have intermittent results. Self-validating – There should be no need for human intervention to determine if a test passes or fails. Timely – The tests should be written before the code. Running tests on the target device is the obvious choice but it’s not without its problems. Accurate test results (compared to possible issues with running the tests on the host). The tests and the test framework are going to be at least the size of your code if not larger. Running tests on the development platform solves most (if not all) of the problems encountered with testing on the target platform but introduces some new problems. The development platform and target platform are most likely different. There will be differences between the target system and development system (e.g. sizeof(int)). These differences mean some issues will only happen on the target device and you will not detect these on the host. Takes the advantages of both ‘Testing on the Development Platform’ and ‘Testing on the Target Device’ and minimises the disadvantages. After every passing test compile for target to make sure you can! (This checks you haven’t used any unsupported features of the embedded compiler.) Fix any issues encountered. Every 15 minutes (or when you’ve finished a logical set of tests) run the tests on the target device and fix any issues encountered. How you split you code up is going to determine how easy or difficult it is to test. Using these principles will help develop a design which is both low coupled and easily testable. Don’t add extra methods/function just to facilitate testing, the tests should help develop the interface to the code. The further down the layers (closer to the hardware) you test the harder testing gets. This entry was posted in Testing and tagged TDD on 14th February 2015 by byran.